For those who may not know, Ancillary Mercy is the third book in Ann Leckie’s brilliant Imperial Radch space opera trilogy. The first book, Ancillary Justice, was published in 2013 and promptly won the Hugo Award, the Nebula Award, the BSFA Award, the Arthur C. Clarke Award and the Locus Award for best science fiction novel (among other accolades), and 2014’s second volume, Ancillary Sword, won the BSFA Award and the Locus Award, and was nominated for the Nebula and Hugo awards. And if you don’t know that Ancillary Mercy is the third book in Ann Leckie’s brilliant Imperial Radch trilogy, be aware that you definitely should go back and read Ancillary Justice and Ancillary Sword first, before you attempt Ancillary Mercy. If you don’t, you will be lost, plain and simple. But why anyone would not want to read the first two volumes is beyond me; they are an amazing set of books that truly are unique in bringing to life a futuristic world that is both familiar and peculiar without being outlandish, freakish or purposefully evocative. To recap very broadly for the unknowing: the established tenets of the Imperial Radch trilogy include ancillaries (humans repurposed as part of a collective artificial intelligence that serves government spaceships), a supreme leader who is at war with herself, and protocols that are of extreme importance in society (such as the use of gloves in all situations so as to keep from touching anything impure, and where the choice of the quality of porcelain of the cup in which one is served tea is of the highest significance). 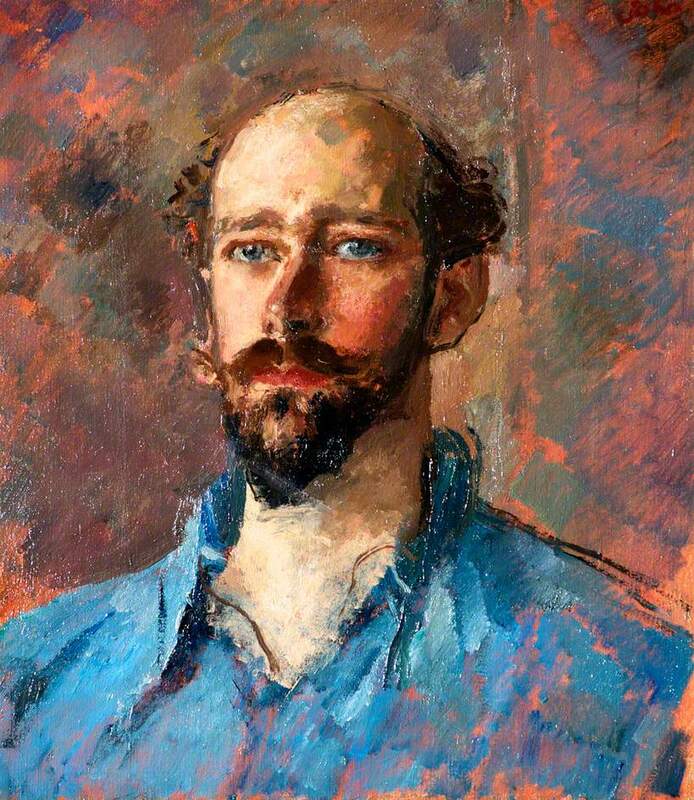 Much has been made of the single-gender (feminine) pronouns used in the books, and indeed, this keeps us off balance and yet not knocked off our feet, allowing focus to be placed on the depth of the characters sans any gendered stereotype, and with the continual sense of being outside the norm – yet not too far outside. But if you haven’t read the first two books in the series, you might as well stop reading this review and instead check out our review of Ancillary Justice – you really will want to start at the beginning. Really. However, if you have read the first two books and are looking to find out more about Ancillary Mercy, be advised that I’m not going to give you too much more to go on there, either. Why? Because if you have read the first two books in the series, you don’t need me to outline what happens in the third. Not only will that mean there will be spoilers, which you don’t deserve, but also, c’mon – you know you are going to read it. You don’t need convincing, you need reassurance. What you really want to know is, is this book good? As good as the others? 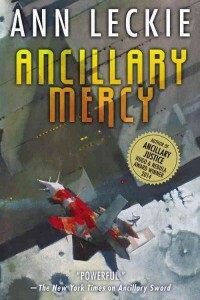 Rest assured, Ancillary Mercy continues the superlative qualities of Ancillary Justice and Ancillary Sword, and then some (as one would expect of the final installment of an acclaimed series). 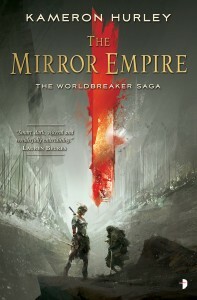 The story of Breq, which was so expansive in Ancillary Justice and so personal in Ancillary Sword, becomes a seamless blend of both, as the Lord of the Radch’s paranoia and treacheries reach beyond Omaugh Palace and directly threaten Athoek Station (“she’s very angry with you, sir“), while the conspiracy of Captain Hetnys and the Sword of Atagaris, and the mystery of what lies beyond the Ghost Gate becomes both clearer and more clandestine (you’ll understand when you read the book). Yet it is the relationship between the players – Breq, Seivarden, Tisarwat, Anaander Mianaai, and others both known and new – that truly makes this final volume compelling. We may not learn more about each of these characters, but we get to know them better, or at least get to know them more clearly. Outwardly, they may be incredibly capable and efficient, but inside, they’re all struggling. Just like us. Just like life. There are twists, there are turns, there are tense situations where it seems like all is lost, and there are failures. In fact, it is Breq’s burgeoning awareness of her own failures that make for some of the most poignant scenes in the book. Her very inhumanness, that has given her advantage and insight so often up to this point, becomes her most personal stumbling block. And if you enjoyed the strange alien-ness that was Translator Dlique – the absurdity paired with the incredible potential for destruction of the Presger – then you are going to love her “replacement”, Translator Zeiat. Translator Zeiat gave an exasperated sigh. “That would be just like her. I am so glad I’m not Dlique. Did you know she dismembered her sister once? She was bored, she said, and wanted to know what would happen. Well, what did she expect? And her sister’s never been the same. The Presger do indeed play a role in Ancillary Mercy, but they do not swoop in and take over (although they could), nor use their abundant power to manipulate advantages, as might be expected in clichéd science fiction. No, there’s so little use of tropes in the Imperial Radch trilogy, that even as strange as the narrative gets, it still feels like a breath of fresh air. Oh, and then there are the songs. The songs will make you laugh and they will break your heart. Again. Listen, that’s all you get. I’m not going to tell you any more about this book. You don’t need to know any more about this book. All you need to know is that yes, you are going to want to read this book, and if you’re ready to read it right now, don’t hesitate any longer. And if you haven’t started the series yet, there’s only one thing I have to say: what the heck are you waiting for?